We are the reference showroom for luxury swimwear and beachwear in Madrid. We perform as a full fashion agency with specifics services for luxury swimwear, beachwear and resort. 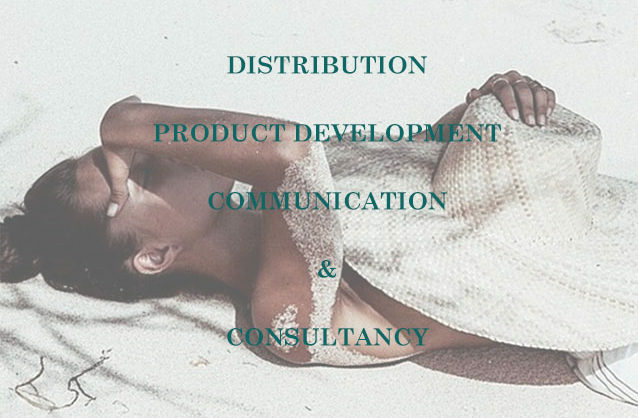 After years of hard work, now we can offer you our specialized experience on distribution, communication, product development, consulting and merchandising. Find out what we can do for your company. “Out of all the agents and wholesalers I work with, Marea Brands are the most efficient for sure. They give you quality advice on how to arrange your collections. Goods delivery is always on time. In case of a defective product, they replace it inmediately. Repetitions are incredibly fast. They have even managed to fulfill some special clients needs. Through our showroom located in the fashion district in Madrid, we offer total brand support, from sales to media services. We offer press services to work on positioning and brand awareness with fashion journalists, influencers and brand ambassadors. Marea Brands assists fashion firms and retailers on different challenges about merchandise planning, design and product development. Marea Brands works alongside retailers and brands to develop and implement customized solutions in different areas.